Scale with total flexibility as your needs evolve. Solve integration challenges with powerful connectivity. Whether your focus is on internal operations, partner integrations, or public data access, APIs are the key to increasing business agility and unlocking the innovation potential of your data. Easily connect Applications and Data without code, through a modern easy-to-use web-based UI. Extensive support for B2B messaging, mapping & translation, automation, monitoring, and management. Hook up any data source and instantly generate flexible, comprehensive, and fully documented APIs. Don't settle for traditional ESB or iPaaS for integration. We go beyond traditional A2A & B2B connectivity and help you orchestrate data across business. 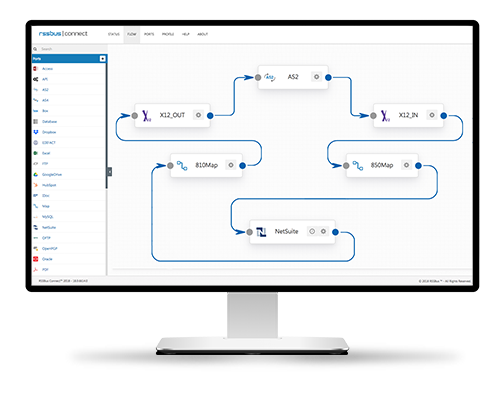 Configure workflows that connect data across applications and processes. Easy-to-use mapping and translation simplifies integration. Connect all of your on-premise and cloud apps, databases, processes, and APIs. Move data on-demand, in response to events, or on schedule. Easily create API entry-points through simple web-based configuration. 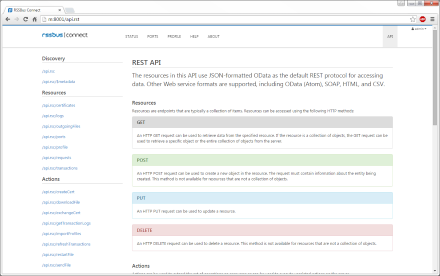 Every facility is exposed through a modern web API interface like REST, JSON, OData, etc. Includes critical API management and governance features like monitoring, logging, rate limiting. Exhaustive REST-based APIs: Almost every facet is accessible through simple standards-based interfaces like SOAP, REST, HTML, RSS, ATOM, JSON, XLS, and CSV. Straightforward Data & Document Transformation: Automate the process of transforming data into shipping labels, invoices, sales receipts, barcode tags, and more. Real-time connectivity through Application & Technology Connectors. Fully-extensible design with hooks for building and hosting modern web applications. From installation, to integration in under 30 minutes. Plug in, configure and go! The quality of your integrations depend largely on the quality of your connectors. Robust Connectors (ports) for enterprise applications, SaaS services, NoSQL & RDBMS databases, file formats, file transfer, and more. Based on an extensible architecture that can be easily extended by any developer. Cloud gateway capabilities provide secure tunneling between on-premise and cloud agents. Everything you need to easily automate business-critical processes. Create APIs from Enterprise Data with a few clicks. No code required. Fully-integrated EDI. Unmatched flexibility in connecting with back-office systems.